Write a C program to create a singly linked list of n nodes and delete the last node of the list. 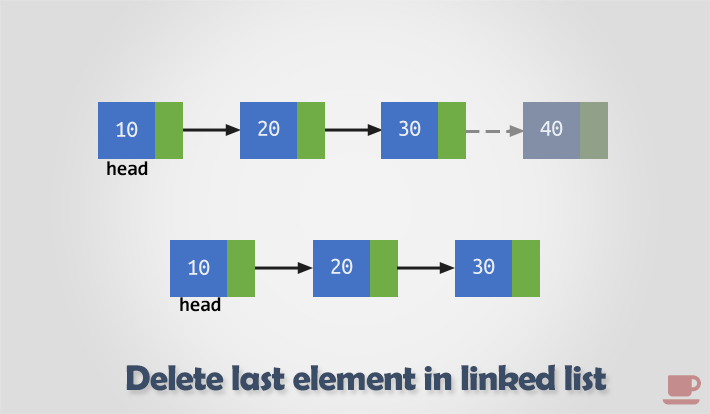 How to delete last node of a singly linked list in C. Algorithm to delete last node from a singly linked list. Steps to remove last node from singly linked list. Traverse to the last node of the linked list keeping track of the second last node in some temp variable say secondLastNode. If the last node is the head node then make the head node as NULL else disconnect the second last node with the last node i.e. secondLastNode->next = NULL. Free the memory occupied by the last node. C program to insert a node at the middle of a Singly Linked List. C program to delete all nodes of a Singly Linked List. C program to count number of nodes of a Singly Linked List.